Small and perfectly formed, with great usable fridge space, and a handy freezer compartment in one neat and practical footprint. With adaptable storage, shelves and door racks can be removed or adjusted. A great solution for smaller spaces or as extra storage. At less than 84cm tall the Servis UR48W fits perfectly under standard worktops making it ideal for smaller kitchens or if you want to retain more surface space. 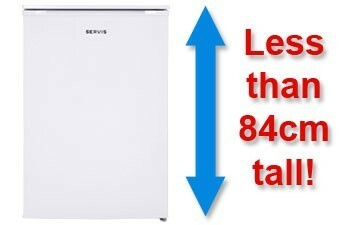 For more storage why not combine with the a Servis undercounter freezer? Just because the UR48W fridge is smaller doesn’t mean you have to compromise on flexibility. With adjustable shelves and door racks you can adapt the interior space to suit your needs. 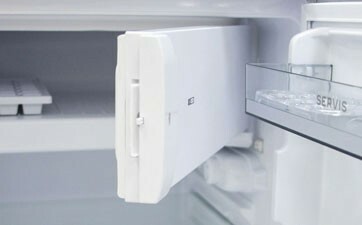 There's even an icebox for added convenience.